KAMPALA – Health experts on Tuesday sounded the alarm over rising cases of multi-drug resistant tuberculosis in Uganda. Dr Ruth Aceng, the Minister of Health said the number of multi-drug resistant (MDR-TB) cases had increased from 600 cases in 2015 to the current 1900. He noted that a survey carried out by the Ministry of Health in 2016/17 on MDR-TB reveals that Kampala and Lango sub-regions have the highest cases of MDR-TB cases currently. According to Dr Aceng, multi-drug resistant TB is a form of TB that fails to respond to standard first-line drugs caused mainly due to non adherence to treatment or failure to consistently take drugs for treatment of the disease. She explained that majority of the cases are fuelled by rasping poverty levels and that majority of the TB patients could not be traced or accessed during the course of treatment. “The rise in the number of new MDR-TB cases is worrying since Delamanid the drug available to treat this type of TB is priced at more than $1,700 (Shs5, 734,100) per treatment course and one case of the more virulent type of the disease treatment, takes up to 18 months to cure,” said Dr Aceng. Averagely, it costs Shs40, 000 to treat non-drug resistant TB and the treatment can take between six to eight months while drug resistant TB treatment can cost as much as $1,700 (Shs5, 734,100) per person and takes longer than two years before the patient gets cured. Aceng was addressing an annual National Tuberculosis (TB) Stakeholder Conference at Imperial Royale Hotel organized by the Ministry of Health under the theme; “Striving towards a TB free Uganda through finding the missed cases”. The annual conference attracted District Health Officers, District Referral Hospital Directors, NGO/CSOs involved in the fight against TB and Ministry of Health officials. Ms Deborah Malac, the US ambassador to Uganda said unless greater efforts are made to fight multi-drug resistant TB, the number of deaths from the disease will continue to grow. She revealed that the World Health Organisation estimate that some 25,000 people are diagnosed each year with an even more dangerous form of TB called extensive drug-resistant TB. “Many countries have made progress, but despite the recent scale up in efforts, Uganda needs to do much more to get care to all multi drug resistant TB patients who need it,” said Ms Malac. A World Health Organisation (WHO) report showed that in 2014, three in every 10 new TB cases and two in every 10 previously treated TB cases are estimated to have multidrug-resistant TB (MDR-TB). According to the Uganda National TB and Leprosy Control Programme, of all the TB patients who started treatment in 2008, only 75 per cent were successfully treated and cured. Dr Diana Atwine, the permanent secretary ministry of health says there is need to enhance TB case detection and TB treatment adherence and to optimise treatment success rates. She added that the target of everyone involved in the fight against TB should be to reduce the burden of TB among HIV patients. She said in 2012, the project’s scope was broadened to include the implementation of multi-drug resistant TB (MDR-TB) care – currently at seven sites. Overall, USAID/SUSTAIN supports the delivery of both quality TB and MDR-TB services at 13 healthcare facilities in Uganda. 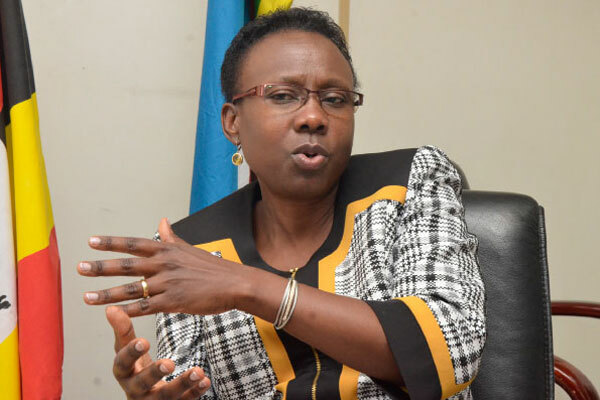 A study Uganda Virus Research Institute (UVRI), conducted between February and June 2015 presented by Ms Juliet Nsimiire says with 320 blood cultures from Kampala Capital City Authority clinics, it was confirmed that there was high antibiotic resistance among typhoid patients in the city. Another study conducted by Faculty of Health Sciences at Busitema University on Multi-Drug Resistance among Clinical Isolates of Staphylococcus aureus bacteria in Mbale Regional Referral Hospital discovered that a high proportion of the bacteria was multidrug resistant. Another evidence of HIV-Drug Resistance Mutations to first and second line regimens among Ugandan adults was presented in a recent research conducted by the UVRI as complications of long-term antiretroviral treatment (CoLTART). The Antibiotic Resistance in Uganda: Situation Analysis and recommendations study, also confirmed that the resistance to Penicillin G and Cotrimaxazole, both antibiotics used in the treatment of infections caused by bacteria, is pending or already at 100 per cent. Tuberculosis is caused by a bacterium known as mycobacterium tuberculosis. It can affect any body part but 80 per cent occurs in the lungs. Lung TB is a chronic debilitating illness characterised by a long-standing cough, normally for two weeks or more. Some of the signs and symptoms include: coughing up blood, body wasting, chest pain, excessive night sweats, evening fevers, weight loss depending on the disease toll, loss of appetite and swellings around the neck and in the armpits. Lung TB is transmitted when a susceptible person breathes in contaminated air from an infected person when he or she sneezes, laughs or sings. Immune suppression: Any diseases that reduce body immunity such as HIV/Aids and other factors such as malnutrition can lead one to acquire TB. Exposure: TB is not a congenital disease but you can acquire the disease once exposed to an infected person (airborne disease). It can be transmitted in places such as health centres, schools, churches, slums, factories, markets and prisons. Age: Usually the very young and the very old are at a higher risk. Congestion and poor ventilation: People living in houses with no windows are at risk, for example; prisons, factories and informal housing units in slums. At birth, every child is given BCG vaccine. This protects severe forms of TB and offers protection for about 15 years. Dr Mugabe says there is also secondly prevention, using isoniazid, a preventive treatment given to persons who are exposed to TB and are at risk. Other preventive measures include: prompt identification of persons with infectious TB and quickly treating them. “We need to achieve high cure rates, and sustain them in order to stop transmission and human suffering. By doing this, everyone needs to be involved by ensuring that diagnosis patients get support,” Dr Mugabe said.